In this worksheet, students select the right co-ordinates for the given points. 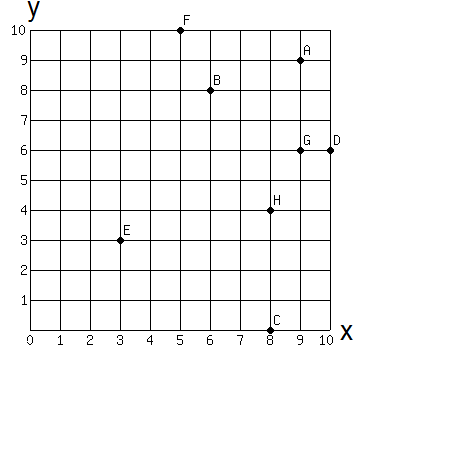 This worksheet is about reading coordinates on a coordinate grid. 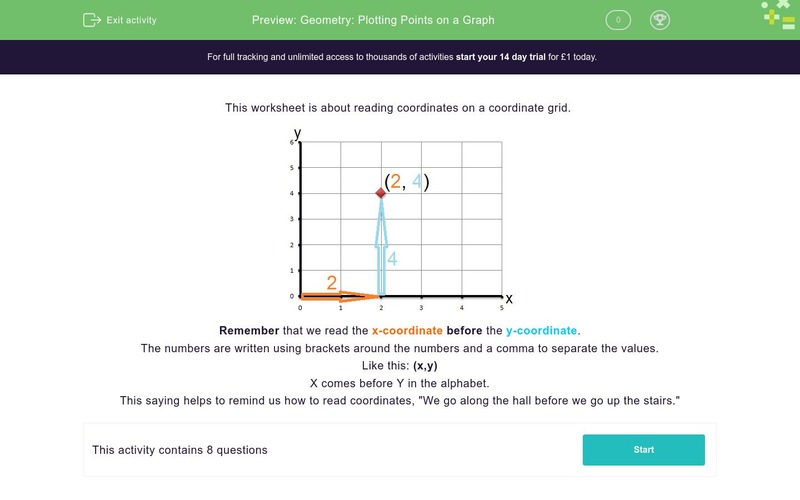 Remember that we read the x coordinate before the y coordinate. The numbers are written using brackets around the numbers and a comma to separate the values. X comes before Y in the alphabet. You can say, "we go along the hall before we go up the stairs". Select the coordinates of the point. 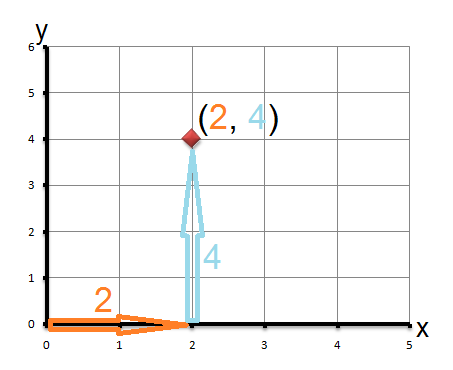 Select the co-ordinates of the point. 10 across and 6 up. We need brackets and a comma. 3 across and 3 up. 8 across and 4 up. We use a comma not a semi-colon.